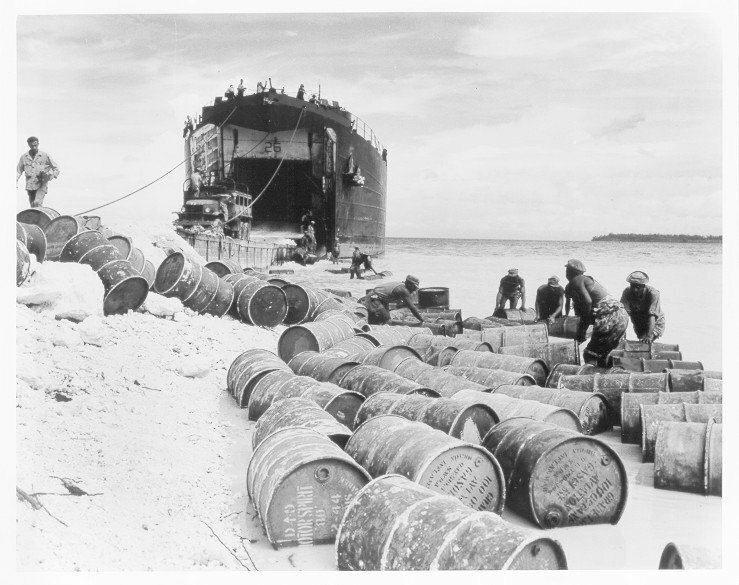 Laid down, 16 November 1942, at Dravo Corp., Neville Island, PA.
105k USS LST-26 unloading on the beach at Tanah Merah Bay, Hollandia, Dutch East Indies, circa April-May 1944. 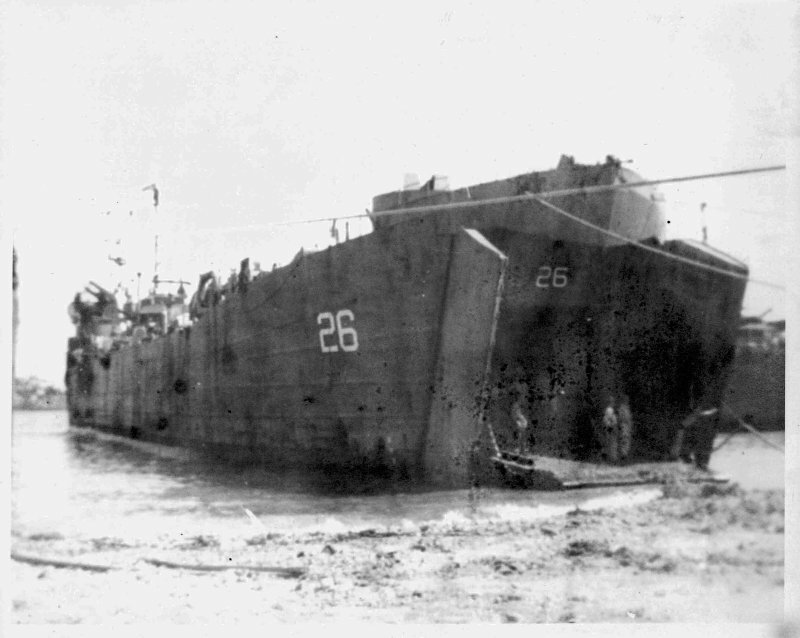 USS LST-22 is the LST alongside USS LST-26. 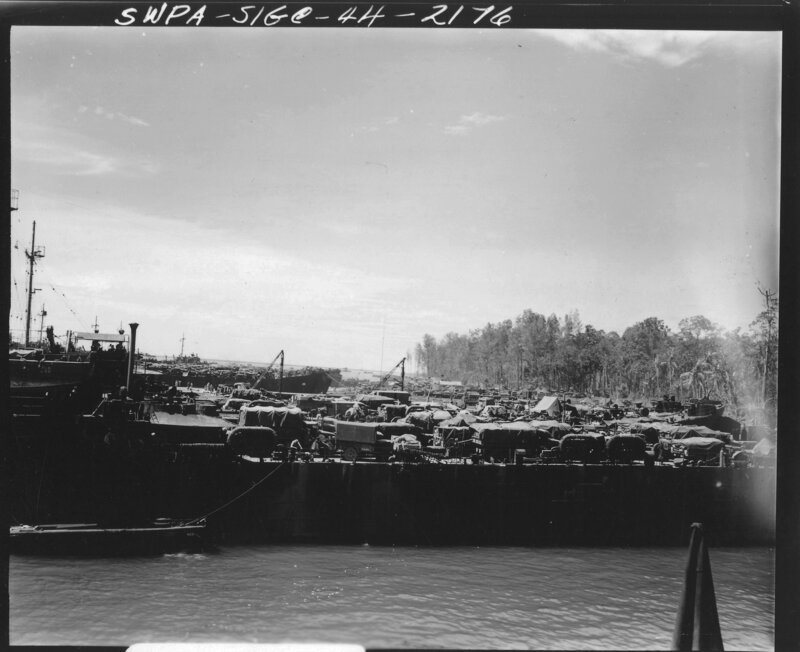 The LST in the far distance is unidentified. 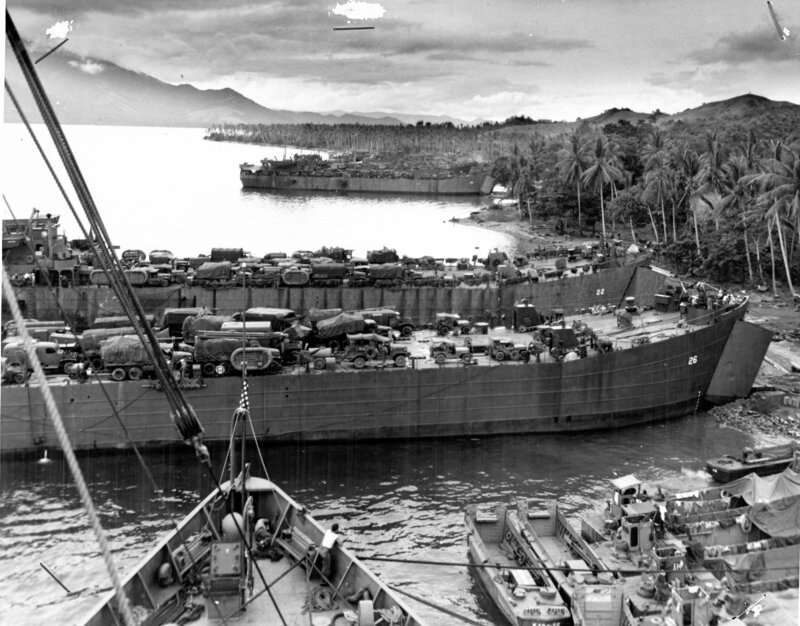 92k USS LST-26 beached while unloading fuel drums at Biak Island, circa May-June 1944. 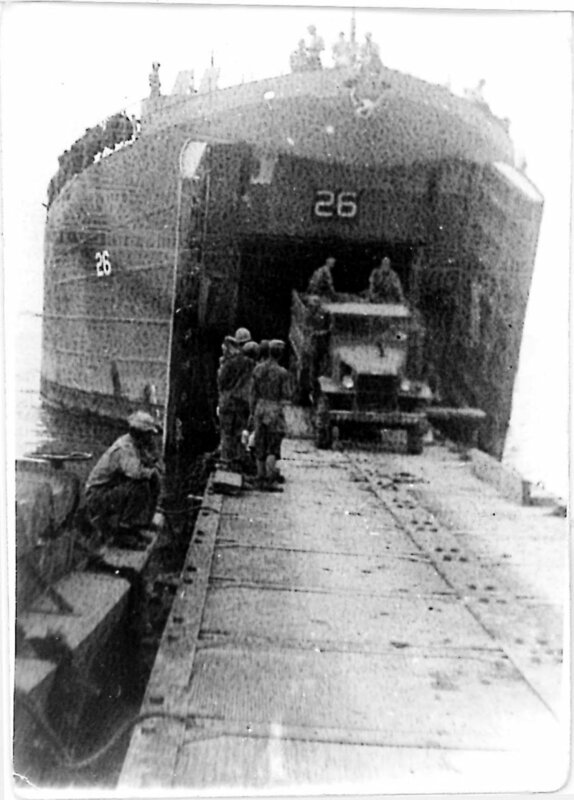 1275k LSTs including USS LST-26 beached at Maffin Bay,Toem, Dutch New Guinea, 26 July 1944, loading equipment for the Cape Sansapor operation. 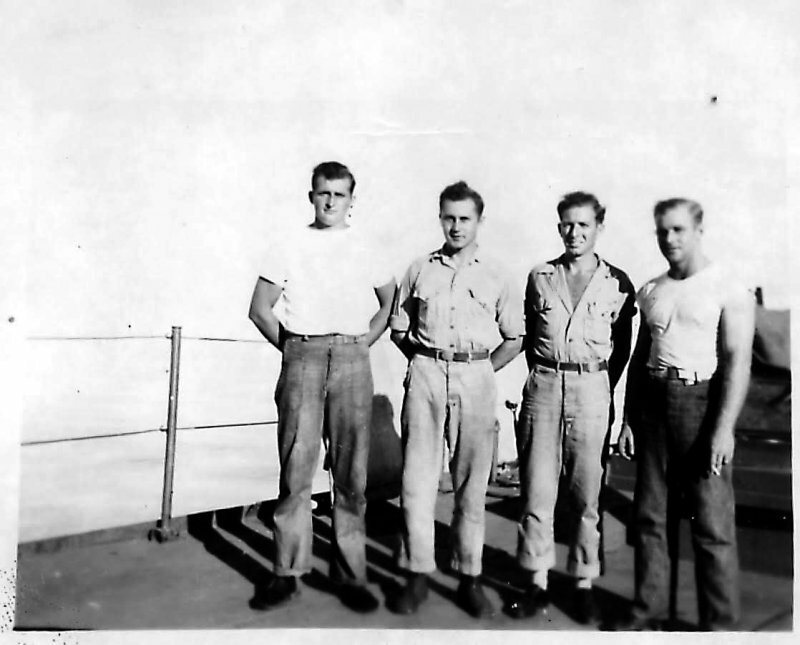 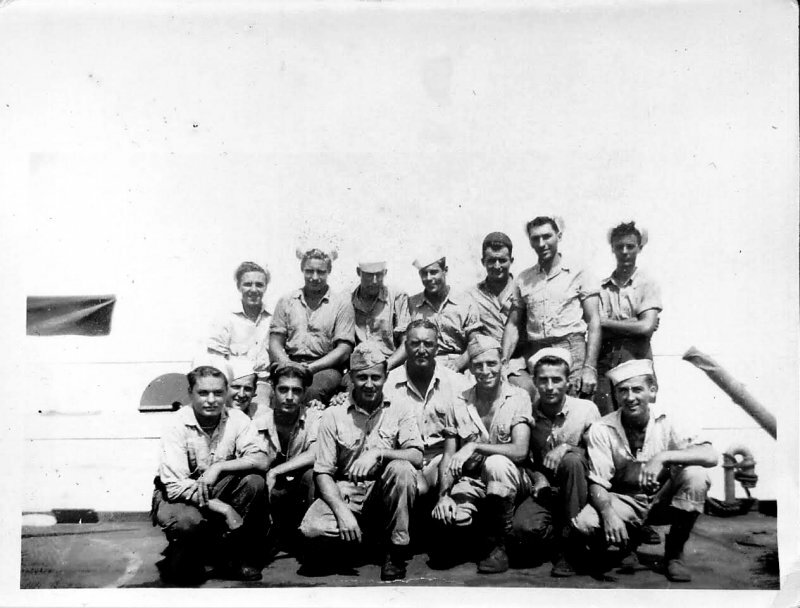 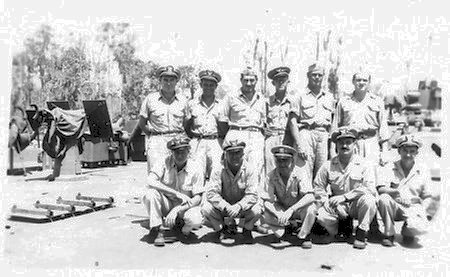 77k USS LST-26 crew members, date and location unknown.